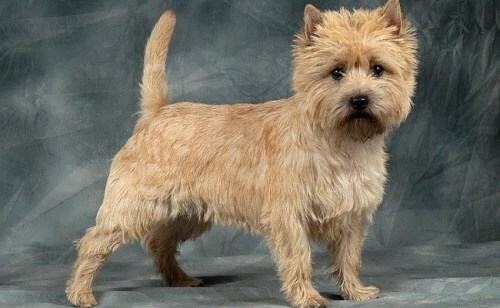 This terrier with its rough, wiry coat, originated about 100 years ago in the Valley of Aire in England. 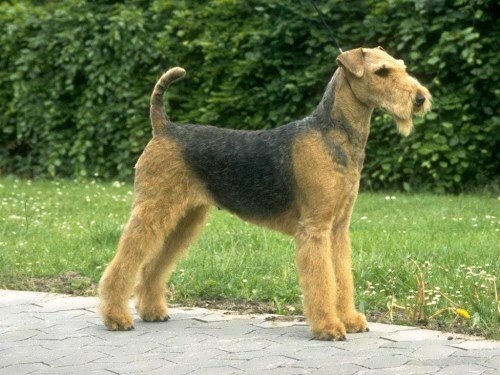 Airedales are used to hunt large game in the United States, Canada, Africa, and India. This breed was one of the first to be used for police work. Named for the Alaskan Inuit tribe the Mahlemuts, this handsome arctic sled dog was originally developed to hunt polar bears and wolves and to pull sledges. It has been used on polar expeditions and to sled dog racing. This lovable sad-faced dog originally came from France and Belgium and was bred to trail game like deer and rabbits. 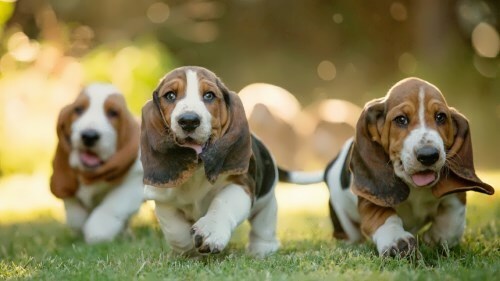 Bassets are tireless hunters known for their keen sense of smell. 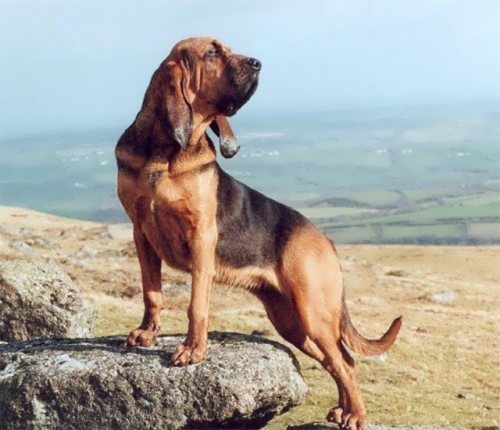 This popular breed of hound is very old and may have originated in ancient Greece. 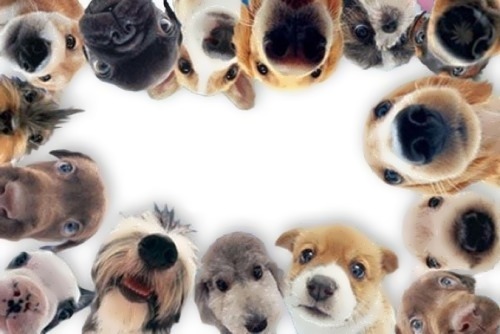 In England in the late 1500s, people divided hounds into two types – large and small. 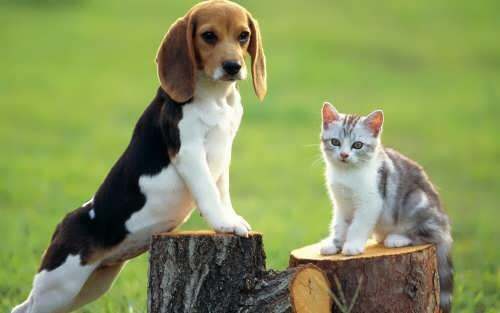 Beagles were the small hounds that hunted hares. 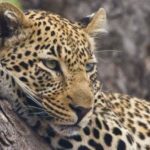 They are known for their large, soft eyes and gentle expressions. The ‘detective’ dog, known for its wrinkled skin, dignified expression, and excellent tracking ability. 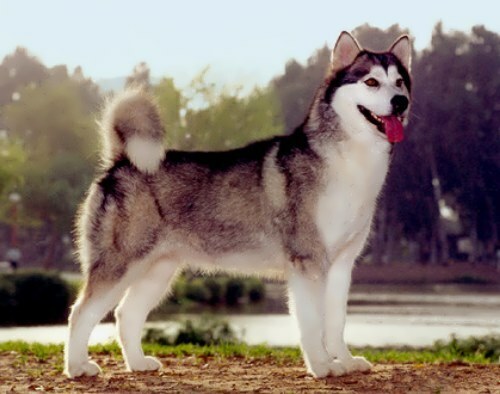 This breed goes back to ancient times and may have originated in the countries around the Mediterranean Sea. 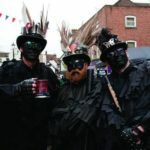 Blood-hounds made their debut in England around the year 1066. 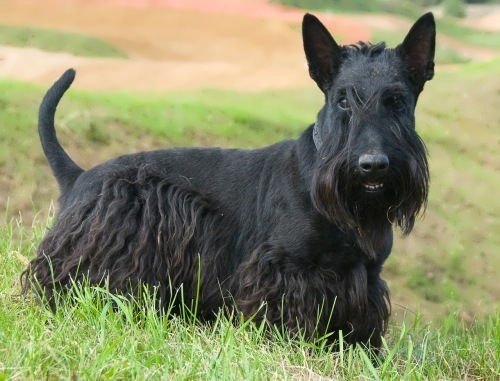 This hardy dog originated in the Isle of Skye, off the coast of Scotland. It was used to root out small game. 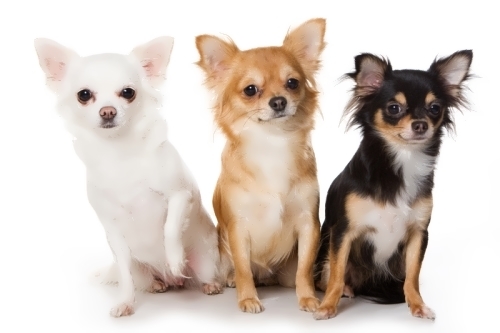 This smooth- or long-haired breed is the smallest and was named for the Mexican state of Chihuahua. Experts think Chihuahuas may have been around since the Tottec civilization in Mexico, about AD. 900. This sturdily built, dense-coated breed is one of the most popular Chows probably originated in China more than 2,000 years ago. They were once used as all-purpose hunting dogs. 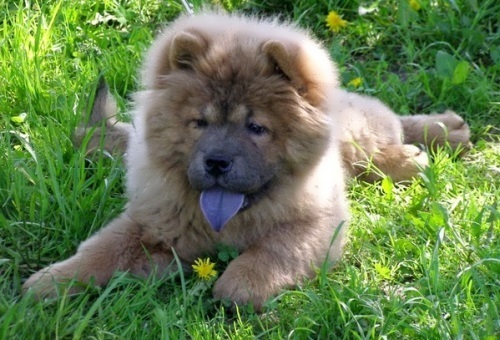 Their name comes from the word used by the English to describe cargo they brought from China to England in the 18th century; Chow Chows were part of that cargo. This very popular silky-coated, soft-eyed dog can trace its ancestors back over a hundred years. In England, it was bred and trained to hunt woodcocks; some experts think the name ‘cocker’ is derived from woodcock. One of the prettiest and most popular breeds, the collie may have been named for ‘colleys’, the black-face sheep. It herded in the Highlands of Scotland. There are two collie varieties – tough and smooth – and both breeds are very old. 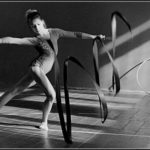 This sturdy, short-legged, long-bodied, quick-moving breed has been around since the 15th century. 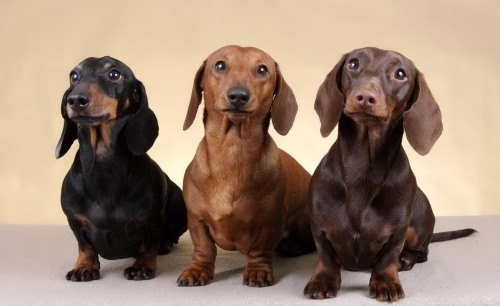 Dachshund means ‘badger-hound’ in German, and there are three varieties – short-coated, long-haired, and wire-haired. 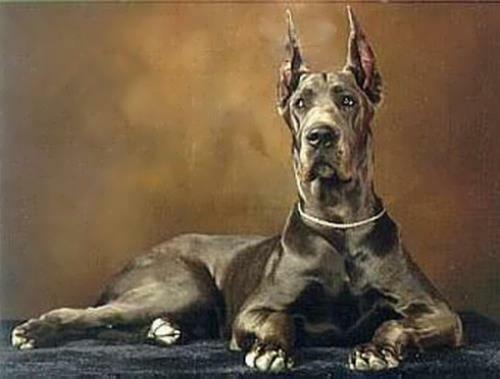 This intelligent and courageous dog originated in Germany in the late 19th century. Shepherds made their debut in the United States in the early 20th century. 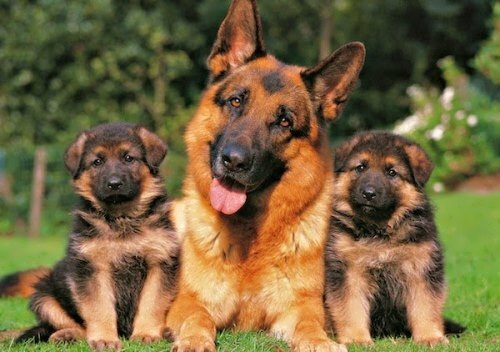 German shepherds are hard workers, known as herding dogs, guard dogs, police and army dogs, guide dogs for the blind, and, of course, as loving and loyal pets. 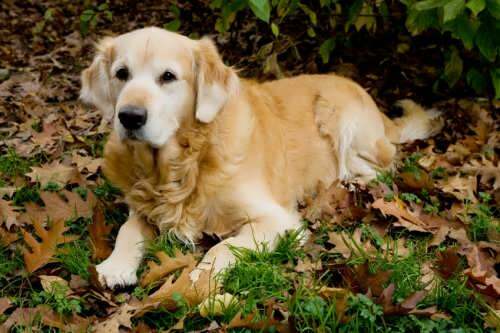 Well known as land and water retrievers, and famous for their beautiful golden	coats and gentle natures. 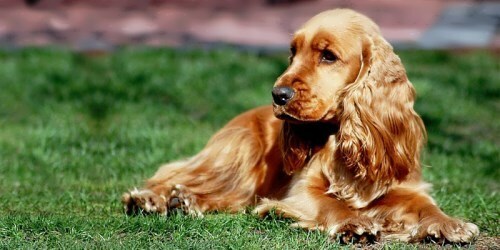 Goldens were first developed as a breed in Scotland in the 1860s. This huge, dignified-looking dog has achieved fame as the popular cartoon character Маrmaduke. 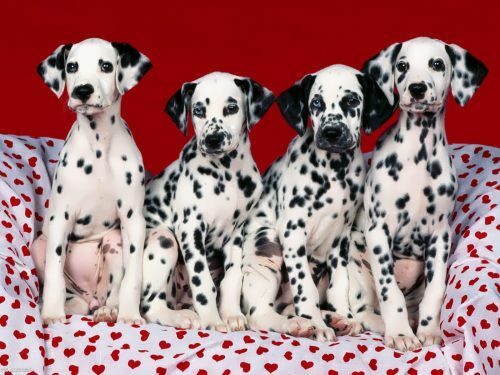 Great Danes, which have been around for over 400 years, originated in Germany, where they were bred as working dogs of the mastiff family. This speedy, smooth-coated dog has been bred for thousands of years. 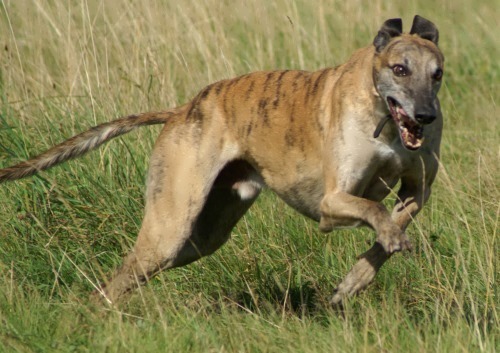 Egyptian pharaohs used greyhounds to chase hares and gazelles. This very popular retriever was developed in Newfoundland, Canada, in the late 19th century. 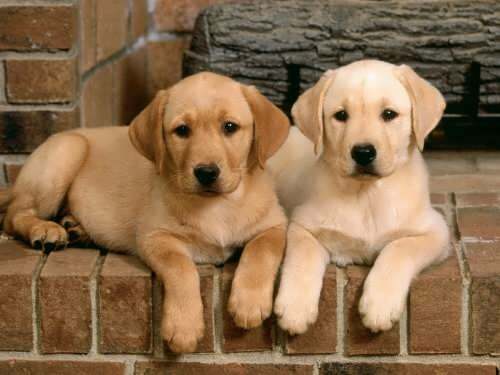 Known as excellent water retrievers, ‘Labs’ were once used to bring hooked fish back to fishermen’s boats. 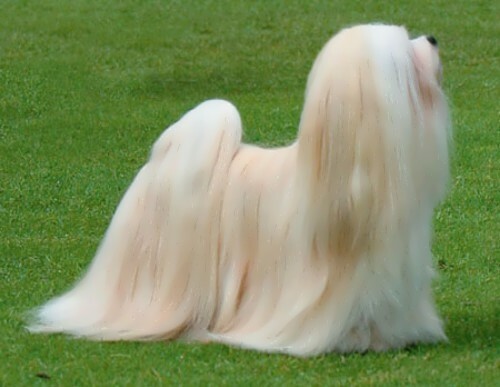 An ancient dog breed, the long-haired Lhasa may have originated as early as 800 B.C. Its original hone was Tibet, where it was prized as a watchdog by the nobility and in monasteries. Lhasas were also thought to bring good luck and to drive away evil spirits. 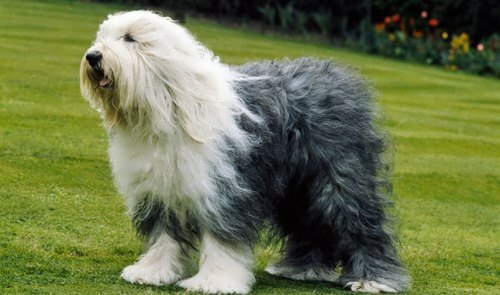 A shaggy favorite, sheepdogs have been bred for about 150 years. Their heavy blue-gray-and-white coats can hang down almost to the ground. These small (6-9 inches) dogs originated in China around the 8th century. 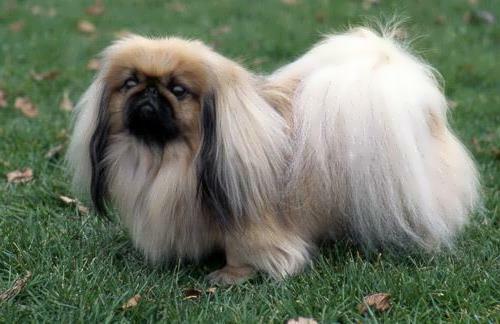 They were considered sacred to Chinese emperors, and the theft of а Реkingese was punishable by death. ‘Pekes’ became popular in England in the 19th century, after British soldiers stole one from the Imperial Palace in Peking and brought it back to Queen Victoria. 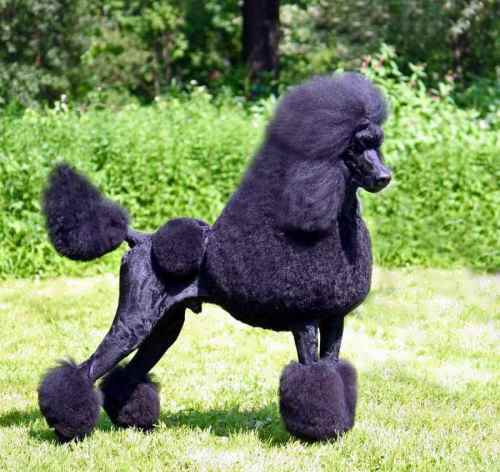 Whether clipped in a fancy haircut or left shaggy, poodles are popular pets in the United States and some countries in Europe, especially France. Poodles originated in Europe, where they were hunters, herders, and retrievers (they are excellent swimmers). 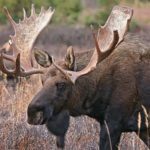 This huge and powerful breed originated in Switzerland around the first century AD. St. Bernards were probably descendants of the fighting dogs brought to Switzerland by the conquering Roman armies. St Bernards were once raised and trained at the Hospice of St. Bernard to rescue travelers lost in the snows of the Swiss Alps. Compact, powerful, and wiry-coated, ‘Scotties’ are descendants of the ancient terriers of the Scottish Highlands. Once known as the Aberdeen Terrier, this dog may be one of the oldest British terrier breeds. 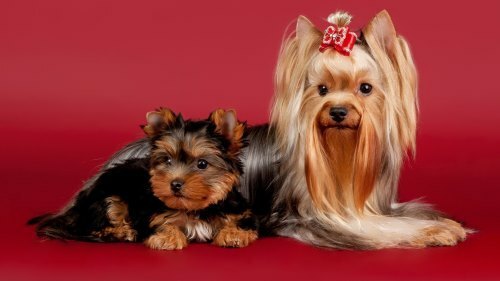 Long-coated, silky-haired ‘Yorkies’ are lively little dogs named for the English county of Yorkshire. 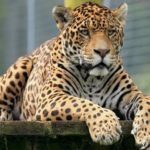 They have been around since about 1860, when they were bred to control rats in the mills and mines. However, they soon became popular as pets. 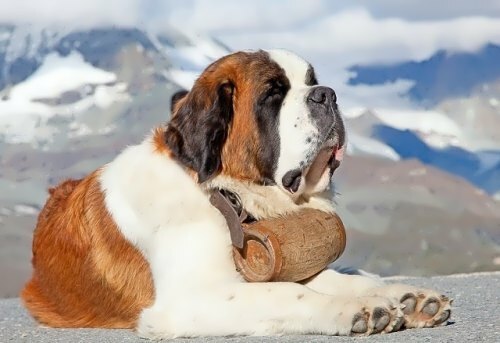 This canine hero lived at the Hospice of St. Bernard in the Swiss Alps, where his job was to find and rescue travelers lost in the snow. Barry was exceptionally good at his job – in 12 years, he saved the lives of over 40 people. Barry died in 1814 at the age of 14 years. This fox terrier was the pet of Admiral Richard Byrd, the famous Arctic and Antarctic explorer. Byrd took Igloo with him when he became the first person to fly over the South Pole (1926) and the North Pole (1928). This brave, loyal, and super-smart collie first appeared in a 1940 book ‘Lassie Come Home’. In 1943 the book was made into a movie, followed by several other Lassie films. Then came a radio series, then a TV series in 1954 and was on the air until 1971. 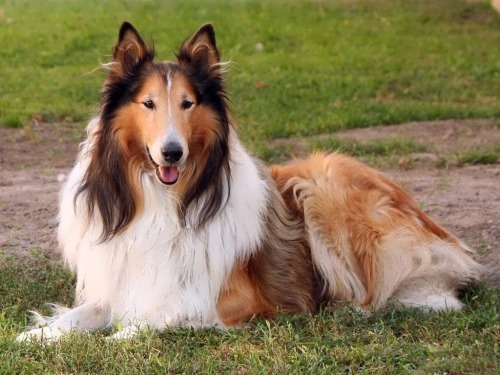 Several collies played the part of Lassie on TV. In 1957 the Soviets launched this female Samoyed husky into space. She was the first “animalnaut” to orbit the earth. At that time, the Soviets had no way of bringing satellites back to earth, so Laika was painlessly put to death by remote control. Jet is a black-and-tan female Doberman Pinscher. When Jet’s owner, a diabetic, fainted, the dog nuzzled the door open, ran to a gate in a four-foot-high fence, opened the latch, and ran to a next-door neighbor’s house to summon help. Alerted by Jet’s furious barking, the neighbor called 911, and paramedics arrived in time to save the life of Jet’s mistress. 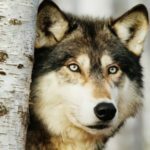 Other winners of Dog Hero of the Year Medal have included a cocker spaniel who saved a three-year-old boy from drowning; a collie who herded 70 goats to safety from a burning bam; a St. Bernard who battled and chased away a grizzly bear; and a miniature poodle who successfully alerted the seven sleeping members of her household to a fire. Many blind people have pet dogs that are especially trained to guide and protect them. The first Seeing-Eye dog was a German shepherd named Buddy, who was trained by his owner, Morris Eustis, in Switzerland in 1920.